My posts have been few and far between recently. 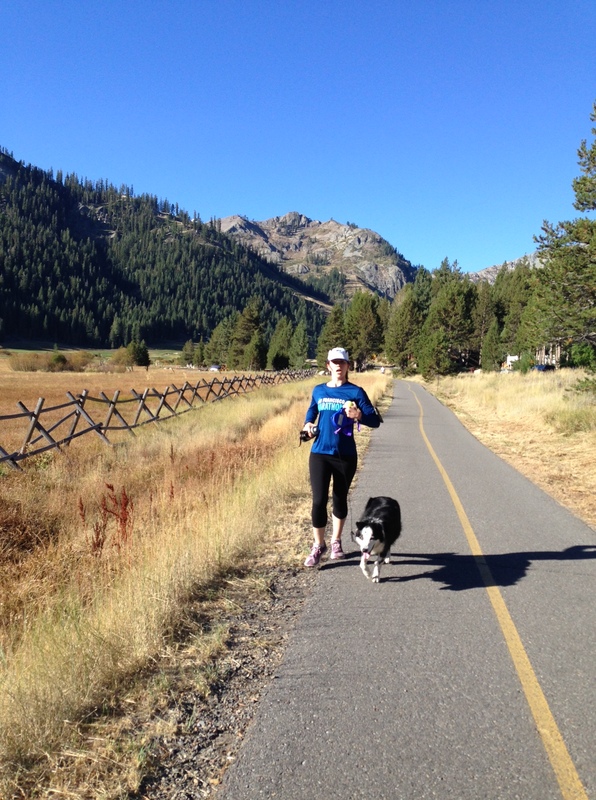 Work, Ironman training, and life have kept me pleasantly busy. 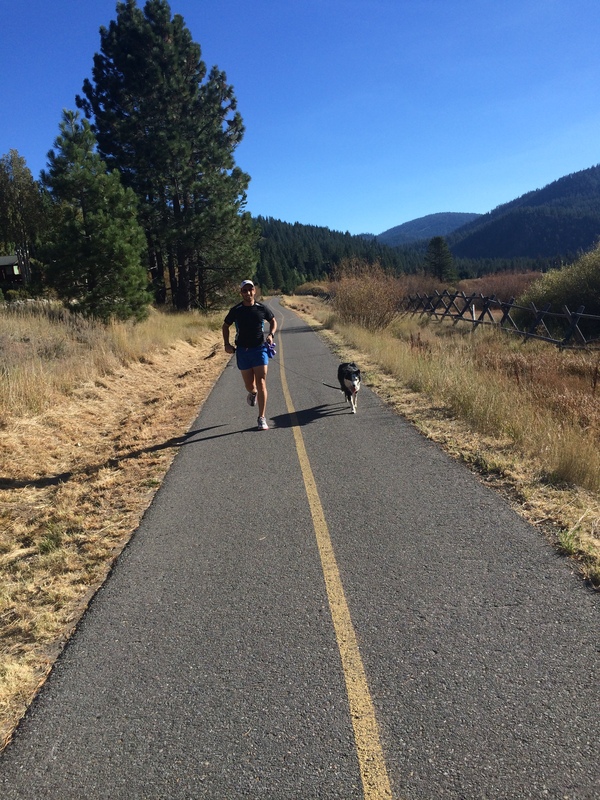 A busy race season came to a screeching halt over the past few weeks and I’ve used the time wisely: my volume has dipped dramatically, and recovery ahead of Ironman Lake Tahoe has taken center stage. I’ve taken on a couple of side projects at work – the days have been flying by, and Ironweek snuck up on me out of nowhere; I’m ready to crush it. Yesterday was my 29th birthday. 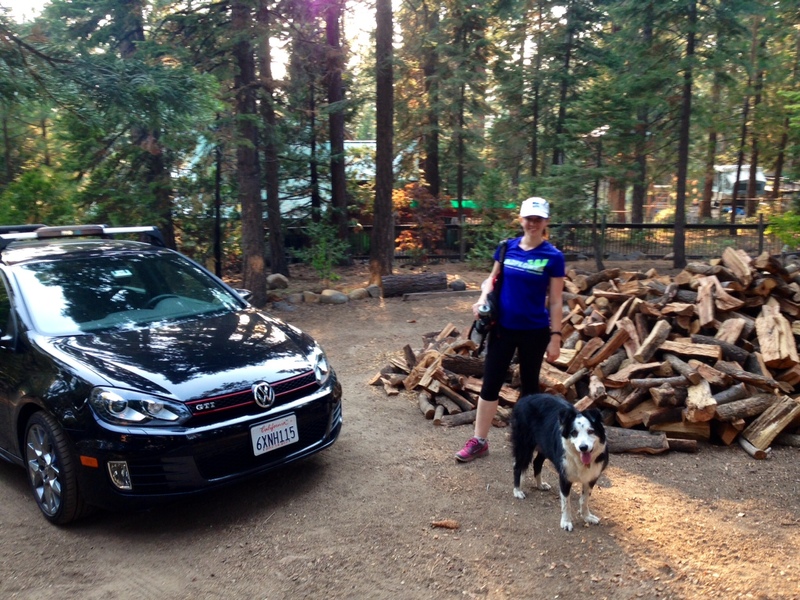 I traded beer for Nuun, cake for Picky Bars, and San Francisco for Lake Tahoe this year – Taylor, Colleen (not a person despite her IQ test results) and I drove up to our cabin at Kings Beach early yesterday morning. Spending the week on vacation at altitude was a no brainer – the time off from work coupled with a few days to adjust to the thin air will be an immense physical and mental boost ahead of the race. We were greeted by an unwelcome visitor – a thick blanket of smoke from the forest fire dubbed the “King Fire” raging nearby. As of this morning, the fire spread to 11,000+ acres and is 5% contained – yikes. 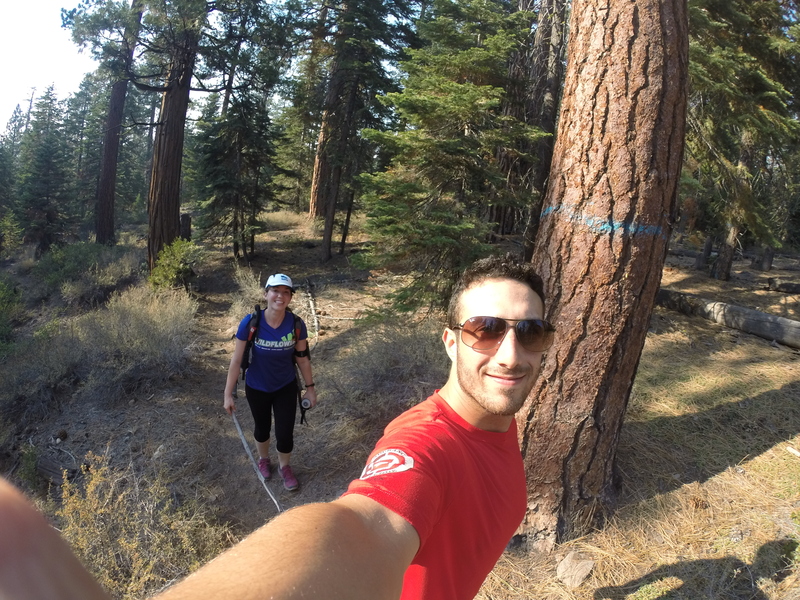 We stuck to our original plan of acclimating with an easy hike through the Tahoe National Forest via the trailhead behind our cabin. The poor air quality was immediately noticeable – our eyes and throats burned, and I’m hoping that the low pressure system tracking for the weekend will blow the smoke away from the race course. Much to our delight, the smoke lifted this morning – apparently the current weather system has a propensity for blowing the smoke over the lake in the afternoon. 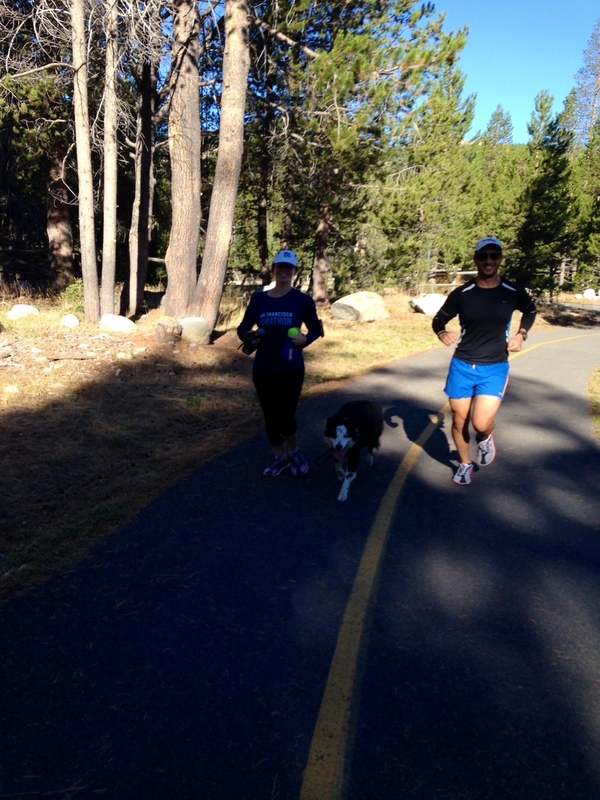 Taylor, Carolyn, Colleen and I set out for our first “real” workout of Ironweek – a very easy 40 minute run along the course at Squaw Valley this morning. 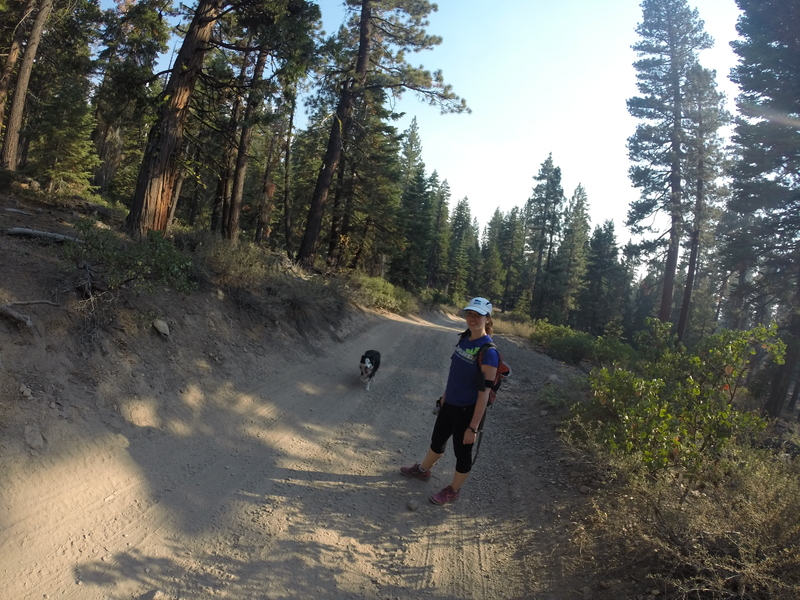 Despite some early respiration issues, we all better than we did during our last Squaw Valley run in early August – especially since we just arrived from sea level. For now, it’s time to close the laptop, put on some sunscreen, test the water, and master the art of underwater selfies at Kings Beach – more to come soon! So exciting! I hope the smoke stays away. Me too! Unfortunately, the smoke is back this afternoon and maybe worse than yesterday – we will see! HAPPY BIRTHDAY! Hope you’re having a great time on vacation. It certainly seems like Colleen is! Crush it! Have fun and happy birthday! I sure will – thanks very much! Thank you Kristin! She’s the best! YAY!! I am so excited for you!! It is here!! IMLT!!! Glad you are there safe and sound! Have a fun week acclimating and getting ready!! I hope that the smoke goes away before Sunday!! Happy Birthday!!! Next year you go into a new AG so enjoy the 25-29 AG while you can!! 🙂 Good luck and have fun out there!!! Ahhh!!! Thanks Leslie!! I’m going to milk M25-29 for what it’s worth – who knows, maybe even a KQ on Sunday?? 🙂 I’m feeling great and really looking forward to the race; thanks for all the support! This looks so awesome and sooo beautiful. Enjoy your time and good luck! Thanks Sarah – we’re having a blast! Can’t wait to crush it this weekend! HAPPY BIRTHDAY!! Good luck, you’re going to rock it! Thank you Hanna! Can’t wait! 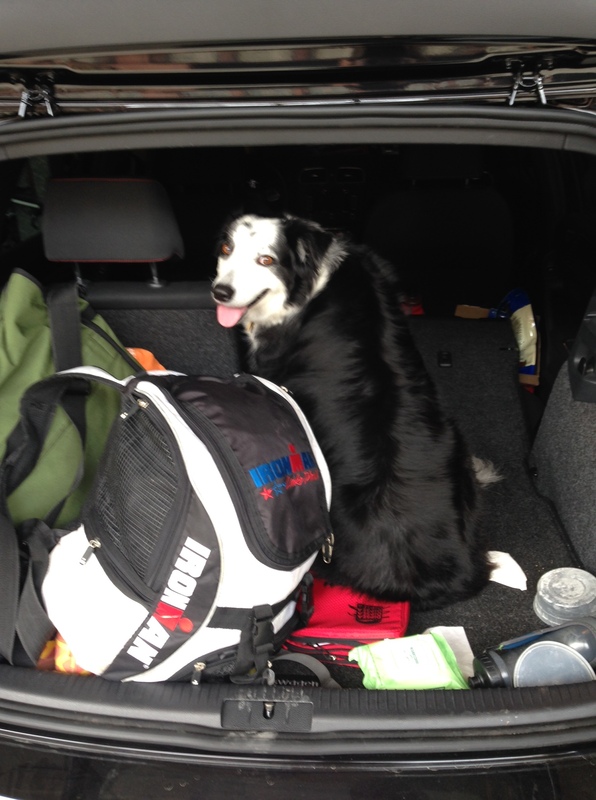 I haven’t made it up to Lake Tahoe yet, but it looks like I need to bring my dog!! Have fun on vacation!